Sandy is the word of the year in the northeastern United States. We thought the worst storms of our Morris and Somerset County lifetimes were in 2011 until October 29, 2012 occurred. The fallen and split trees, power outages and altered lives resulting from one of the most powerful storms ever to strike New Jersey are memories for a lifetime. Entire swatches of forest were blown down and splintered. Fortunately, any significant rainfall amounts during the storm bypassed Morris and Somerset County or else the devastation would be worse. Homo sapiens may alter the physical landscape for better and probably worse, but in the end, Nature rules. The winter was the mildest most people could remember. There was little, if any, snowfall and most bodies of water remained open throughout the season. Somerset County logged 245 species in 2012 according to the eBird database. This is very impressive for a county that lacks a body of water of any appreciable size and shorebird habitat of limited type. The Somerset Sandhill Cranes spent the early part of the year in Franklin Township and then returned on schedule for the sixth year in a row in November. 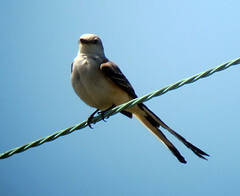 A Scissor-tailed Flycatcher visited Franklin Township in June. Dickcissels spent the late spring and summer at Negri-Nepote Grasslands. Chimney Rock Hawkwatch had record days for some species and an overall superb count for both Bald and Golden Eagles. Winter finches made their mark in the county with Chimney Rock as the epicenter of activity. Maybe they should be Somerset County’s Birds of the Year as a group. 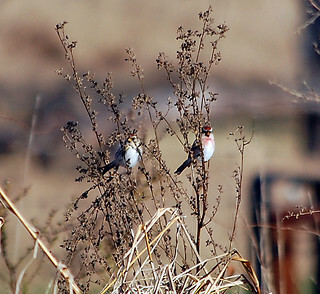 The county’s first documented Lark Sparrow was in Hillsborough in December. 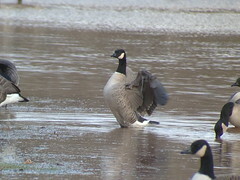 Somerset County continues to have an abundance of wintering geese. It is difficult to ascertain how many different Greater White-fronted Geese have been observed in the county in 2012 but whatever the number, the term rare does not apply to this species any longer. As Somerset County is the Cackling Goose Capital of New Jersey it can also lay claim to being the Greater White-fronted Goose Capital . To top it off, Ross’s Goose has appeared in the county for two successive years in December. A bar graph for Somerset County Birds in 2012, generated from eBird data, is here. Clicking on the map button next to each species will display a distribution map for that species in 2012. eBird is a powerful reference source. The following records are gleaned from mocosocobirds.com, personal correspondences and eBird. This page can be updated as needed since it is an online format. Please share any additional records or data using the Bird Reporter. Glenhurst refers to Glenhurst Meadows, Warren Twp. Montgomery Twp. refers to the Selody Sod Farm when the reference is shorebirds. U.L. = undisclosed location. This place does not offer accessibility to the public. Publicizing the location could compromise any access whatsoever. Suffice it to say that records from this location are important as county records rather than from a specific place. Dates are in the standard UK format of Date followed by the abbreviated month, e.g. 1 Jan for January 1st. Observers are listed at the end of the report, their initials used for the body of the report. Greater White-fronted Goose – at least 4 different individuals in Bridgewater, Franklin and Hillsborough Townships from 1 Jan (TCa) through 1 Mar (JE); 7 Nov, Montgomery Twp. (JE); 18 Dec, U.L. ; 29 Dec, Lyons (JG); 29 Dec, Duke Farms (JE, SL); 31 Dec, Duke Island Park (JE). Snow Goose – high count of 227 on 7 Jan, Finderne Wetlands (RF, LAM). Ross’s Goose – 16-17 Dec, Lamington (JE, m.obs.). Brant – 31 Oct: county record of 697, U.L., same date, 424 at Chimney Rock (SL). 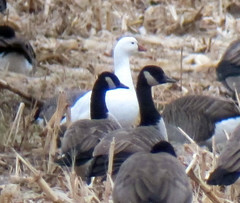 Cackling Goose – state record of 33 at Duke Island Park, 2 Jan (JE, JK). Widespread in the county. Wood Duck – 70 at Lord Stirling Park, 14 Mar (JE). Gadwall – 14 on 29 Oct, U.L. American Wigeon – high count of 5, various reports, m.obs. Blue-winged Teal – 8 in Franklin Twp., 5 Sep (JE). Northern Shoveler – few reports. 3 on 7 Oct, U.L. Northern Pintail – 47 at Glenhurst, 30 Jan (JE). Green-winged Teal – 50 at Glenhurst, 5 Mar (JE). Redhead – 8 at Bernardsville, 11 Jan (JE, JK); 1 at Bernardsville, 16 Jan (SL); 1 at Duke farms, 2 Feb (HD). Ring-necked Duck – 185 at Duke Farms, 17 Feb (HD). Greater Scaup – 1 on 4 Dec, U.L.. Lesser Scaup – 5 on 21 Dec, U.L..
Black Scoter – 33 on 25 Oct, U.L. Long-tailed Duck – 2 on 26 Oct, U.L., 1 on 30-31 Oct.
Bufflehead – 29 on 7 Mar, Franklin Twp. (JE). Common Goldeneye – 34 on 18 Jan, Franklin Twp. (JE). Hooded Merganser – 43 on 16 Jan at Bernardsville (JE). Common Merganser – 40 on 27 Jan at Duke Farms (HD). 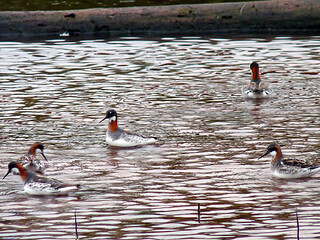 Red-breasted Merganser – 2 on 30 Oct, U.L..
Ruddy Duck – 6 on 30 Mar, U.L. Northern Bobwhite – 2 at Negri-Nepote, 7 Jul (CA). Wild Turkey – 40 at Lord Stirling Park, 12 Jan (JM). Red-throated Loon – only report: 1 at Chimney Rock, 12 Oct (JE, SL). Common Loon – 11 at Glenhurst, 26 Apr (JE). Horned Grebe – 5 on 31 Mar, U.L. Double-crested Cormorant – 49 at Duke Island park, 9 Apr (JC). American Bittern – 4 Apr, Glenhurst (JE); 14 Apr, Glenhurst (SL); 21 Apr, Lord Stirling Park (JE); 12 May, Lord Stirling Park (JE); 2 Aug, Martinsville (MB). Little Blue Heron – 9 May, U.L. ; 23 July, Watchung Lake (JE); 13 Aug, Duke Island Park (JC); 25 Aug, Bridgewater Twp. (JE). Black-crowned Night-Heron – only report: 18 Jun, Watchung (JE, SL). Osprey – 57 on 6 Oct.
Bald Eagle – 32 on 9 Sep.
Sharp-shinned Hawk – 240 on 12 Oct.
Red-shouldered Hawk – 82 on 3 Nov – new one-day record for the site. Broad-winged Hawk – 7,154 on 16 Sep.
Red-tailed Hawk – 142 on 3 Nov.
Golden Eagle – 3 on 14 Nov.
American Kestrel – 129 on 15 Sep. Peregrine Falcon – 20 on 6 Oct.
Bald Eagle – The Duke Farms Bald Eagle nest was destroyed during Sandy but the adults have stayed in the area. Somerset County’s 2nd Bald Eagle nest in Far Hills fledged young. Rough-legged Hawk 31 Dec, Duke Farms (TA). King Rail – a flushed bird on 24 Oct, Finderne Wetlands (JE, JK, PW). Virginia Rail – only report: 31 may, Lord Stirling Park (MN). American Coot – many reports with 5 as the high count on 20 Feb, Franklin Twp. (JE). Sandhill Crane – The Franklin Twp. quintet was viewed by m.obs. from 1 Jan to a single individual on 19 Mar. 3 adult-plumaged Sandhill Cranes were seen in Hillsborough on 27 Nov (JE); groups of 3 and 2 were seen in Franklin Twp. 8-14 Dec. It is possible the Hillsborough cranes are a different group as the group of 3 in Franklin were not adult plumaged. The Sandhill Cranes have been returning to Franklin Twp. since November 2007. Black-bellied Plover – 1 on 10 Aug, Montgomery Twp. (JE). American Golden-Plover – 5-9 Sep, Montgomery Twp. high count of 6 (MH); 1 at Weston Cross Way Field, 5 Sep (JE). Semipalmated Plover – 21 in Montgomery Twp., 12 Aug (JE). Killdeer – 178 in Montgomery Twp., 15 Sep (JE). Solitary Sandpiper – 16 at Glenhurst, 3 May (JE). Greater Yellowlegs – 23 in Hillsborough Twp., 26 Apr (JE). Lesser Yellowlegs – 11 at Finderne Wetlands, 11 May (JE). Upland Sandpiper – 6, 14, 15 Aug, Montgomery Twp., (JE); 18 Aug, Weston Cross Way Field (MH, JK); 25 Aug, Montgomery Twp. (SL). Former breeder in the county until early 1990s. Semipalmated Sandpiper – many reports from 3 May at Negri-Nepote (RW) to 22 Sep (Franklin Twp. (JE) with a high count of 17 in Bernardsville, 22 May (SL). Least Sandpiper – 28 in Franklin Twp., 19 Sep (JE). White-rumped Sandpiper – a single report of 3 in Bernardsville, 22 May (JP, SL). Baird’s Sandpiper – 10 Sep, Montgomery Twp. (MH). Pectoral Sandpiper – 22 Apr, Negri-Nepote (JE,PJ); 6-14 Aug, Montgomery Twp., (JE, SL); 18 Aug, Weston Cross Way (JE, PB). Dunlin – U.L., 30 Oct.
Stilt Sandpiper – 18 Aug, Franklin Twp. (PB, JE, JK); 2 in Franklin Twp., 2 Sep (JE, FS). Buff-breasted Sandpiper – All from Montgomery Twp., 6 Aug (JE); 4 on 4 Sep (JE); 23 Sep (JS). Wilson’s Snipe – 31, Hillsborough Twp, 27 Mar (JE). American Woodcock – 31 Jan, Glenhurst (JE). Red-necked Phalarope – From Negri-Nepote: 1 May (JE, JL); 5 on 21 May (JH, AO, TO). 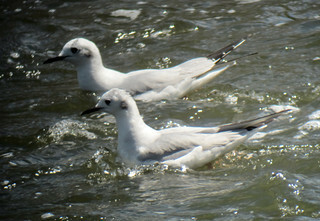 Bonaparte’s Gull – 327(!) in Franklin Twp. on the Raritan River, 12 Apr (JE). Laughing Gull – 3 at U.L., 30 Oct.
Ring-billed Gull – 650 in Franklin Twp., 22 Dec (JE). Herring Gull – 75 in Hillsborough, 23 Jan (FS). Iceland Gull – Hillsborough: 3 on 23 Jan (FS); 1 on 25 Jan (JK). Lesser Black-backed Gull – 4 at Opie Rd., Branchburg, 1 Mar (JK). Least Tern – 21 Jul, Finderne Wetlands (JE) 2nd year in a row. Forster’s Tern – 30 Oct, U.L. Yellow-billed Cuckoo – 5 May, Sourland Mtn. (VS). Black-billed Cuckoo – 4 May, Sourland Mtn. (CD). Common Nighthawk – 10 May, Raritan (JE). Chimney Swift – 12 Apr, Franklin Twp. (JE). Ruby-throated Hummingbird – 4 May, Scherman Hoffman Sanctuary (RL). Red-headed Woodpecker – 2 Jan-18 Mar, ColonialPark, Franklin Twp. (m.obs. ); 7 Jan, Finderne Wetlands (RF, LAM); 5 at LordStirlingPark, 8 Jan (JE), various numbers seen here through 6 May (m.obs.). Olive-sided Flycatcher – 17 Aug, Chimney Rock (JC); 2 Sep, Montgomery Twp. (JE). Eastern Wood-pewee – 2 May, Bridgewater (NG). Yellow-bellied Flycatcher – 10 Sep, Chimney Rock (JE). Acadian Flycatcher – 19 May, SourlandMtn. (JE). Alder Flycatcher – 30 May, LordStirlingPark (AB). WillowFlycatcher – 12 May, LordStirlingPark (JE). Least Flycatcher – 6 May, Scherman Hoffman Sanctuary (PB). Eastern Phoebe – 9 Mar, Scherman Hoffman Sanctuary (RL). Great Crested Flycatcher – 21 Apr, LordStirlingPark (JE). Eastern Kingbird – 28 Apr, LordStirlingPark (PC). Scissor-tailed Flycatcher – 21 May, Franklin Twp. (BC, m.obs.). White-eyed Vireo – 21 Apr, Scherman Hoffman Sanctuary (MDL). Yellow-throated Vireo – 26 Apr, Glenhurst (JE). Blue-headed Vireo – 18 Apr, Peapack (PB). Warbling Vireo – 18 Apr, Franklin Twp. (JE). PhiladelphiaVireo, 1 Sep, Hillsborough Twp. (FS). Many records through 16 Sep.
Red-eyed Vireo – 18 Apr, Scherman Hoffman Sanctuary (BK). Fish Crow – 700 at Hillsborough Twp., 11 Nov (JE). Common Raven – New nest in Hillsborough fledged three young. Species is widespread in the county. Horned Larkk – 53 at Opie Rd., 23 Jan (JE). Northern Rough-winged Swallow – 26 Mar, Watchung (JE). Purple Martin – 21 Apr, Branchburg and Basking Ridge (JE). Tree Swallow – 9 Mar, Franklin Twp. (JE). Bank Swallow – 22 Apr,U.L. Barn Swallow – 1 Apr, Franklin Twp. (JE). Cliff Swallow – 22 Apr, Franklin Twp. (JE). A second nesting location with 7-8 nests was found along the Raritan River in Franklin Township (JE). The first nest near Easton Ave. had at least 6 nests. It will be interesting to follow the expansion of nesting Cliff Swallows in both Somerset and Morris Counties. Red-breasted Nuthatch – a major influx of this species in late August throughout the autumn. House Wren – 16 Apr, Raritan (JC). Winter Wren – well represented from late September through the end of the year. Marsh Wren – 16 Apr, LordStirlingPark (JE). Blue-gray Gnatcatcher – 27 Mar, Lord Stirling Park (HT). Veery – 30 Apr, Duke Farms (HD). Gray-cheeked Thrush – 19 May, Sourland Mtn. (JE). 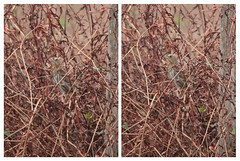 Swainson’s Thrush – 5 May, Hillsborough Twp. (VS). American Pipit – 200 in Montgomery Twp. 11 Nov (JE). Cedar Waxwing – 200 in Hillsborough Twp., 17 May (JK). Snow Bunting – 2 at Glenhurst, 31 Dec (MN). Ovenbird – 21 Apr, Lord Stirling Park (JE). Worm-eating Warbler – 28 Apr, Glenhurst (JE). Louisiana Waterthrush – 23 Mar, Bernardsville (JP). Northern Waterthrush – 26 Apr, Glenhurst Meadows (JE). Blue-winged Warbler – 18 Apr, Sourland Mtn. (JK). Black-and-white Warbler – 17 Apr, Scherman-Hoffman (NF). Prothonotary Warbler – 27 Apr, Lord Stirling Park (JE). Tennessee Warbler – 12 May, Chimney Rock (JE). Nashville Warbler – 2 May, Glenhurst Meadows (JE). Mourning Warbler – 23 May, Sourland Mtn. (JK). Kentucky Warbler – 28 May, Hillsborough Twp. (FS, JK, JE). Common Yellowthroat – 17 Apr, Griggstown Glasslands (AL). Hooded Warbler – 3 May, Hillsborough Twp. (FS). American Redstart – 27 Apr, Raritan (JE). Cape May Warbler – 12 May, Chimney Rock (JE). Northern Parula – 21 Apr, Negri-Nepote (JB). Magnolia Warbler – 2 May, Glenhurst (JE). Bay-breasted Warbler – 4 May, Lord Stirling Park (HT). Blackburnian Warbler – 4 May, Franklin Twp. (AL). Yellow Warbler – 20 Apr, Hillsborough Twp. (JE). Chestnut-sided Warbler – 3 May, Scherman-Hoffman (JW). Blackpoll Warbler – 3 May, Bridgewater (JE). Black-throated Blue Warbler – 3 May, Sourland Mtn. (JK). Palm Warbler – 24 Mar, Lord Stirling (JE). Pine Warbler – 17 Mar, Glenhurst (JE). Prairie Warbler – 24 Apr, Hillsborough Twp. (VS). Black-throated Green Warbler – 28 Apr, Scherman Hoffman Sanctuary (JE). Canada Warbler – 4 May, SourlandMtn. (CD). Wilson’s Warbler – 2 May, Bridgewater (NG). Yellow-breasted Chat – 17 Jun, Negri-Nepote (RC). Common Yellowthroat – 11 Jan, Griggstown Grasslands (JE). Golden-winged Warbler – 23 Aug, Chimney Rock (PB). Connecticut Warbler – an interesting record on 15 Aug in Bedminster Twp. (MN); steady at Glenhurst 15 Sep-13 Oct with 4 on 29 Sep (HT). Orange-crowned Warbler – 23 Sep, Bridgewater (JC); 24 Oct, Finderne Wetlands (JE). Poor year for this species region-wide. Vesper Sparrow – Glenhurst Meadows continues to be the most reliable Vesper Sparrow location. They were present from 7 Apr (JE, SL) through 30 Apr (JE) and then from 7 Oct (JE) through 6 Nov (MN). Finderne Wetlands is moving up on the Vesper-Meter. Vesper Sparrows were present from 12 Oct (DS) through 27 Oct (JC) with a high count of 4 on 24 Oct (JE). Lark Sparrow – 17-19 Dec, Hillsborough Twp. (JE, JK, FS, AM). 1st documented county record. The only other known possible record is undated and could actually be from Union County. Savannah Sparrow – abundant at Finderne Wetlands in October; 200 on 20 Oct (JE). Grasshopper Sparrow – 21 Apr, Negri-Nepote (JB). Found in proper habitat throughout FranklinTownship including Negri-Nepote, Griggstown Grasslands and other areas in between. Le Conte’s Sparrow – undisclosed sensitive area, 2-23 Oct. Tentative until accepted by NJBRC. Nelson’s Sparrow – Finderne Wetlands: 15 Oct (JE); 27 Oct (TS). Lincoln’s Sparrow – none in the spring; 16 Sep, Chimney Rock (SL); high count of 8 at Glenhurst, 29 Sep (JE). White-crowned Sparrow – 13 in Hillsborough Twp., 17 Dec (JE, JK). Scarlet Tanager – 18 Apr, Sourland Mtn. (JK while leading a field trip of high school students. First record in the state for 2012). Blue Grosbeak – 1 May, Montgomery Twp. (JK); 7 May-22 Aug, Negri-Nepote (DS, m.obs.). Dickcissel – 18 May, Hillsborough Twp. (JK); present and possible breeding attempt at Negri-Nepote, 11 Jun-22 Aug (m.obs.). Rusty Blackbird – sparse throughout the year; 25 at Duke Farm, 1 Jan (SL); 25 at Glenhurst, 17 Nov (JE). 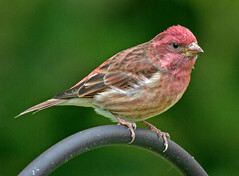 Purple Finch – 12 at Sourland Mtn., 8 Mar (JK); and then the dam broke. From September into November they were hard to miss with 140 at Glenhurst 13 Oct (JE). Then not a single record in December. Red Crossbill – Chimney Rock, from 14 Nov (JE) through 25 Nov (JE, JK, SL) with a high count of 6 on 17 Nov (JE, SL). White-winged Crossbill – Many sightings from Chimney Rock; from 31 Oct (SL) through 25 Nov (JE, JK, SL). High count of 10 on 4 Nov (JE); 4 in Warren Twp., 31 Dec (SL). 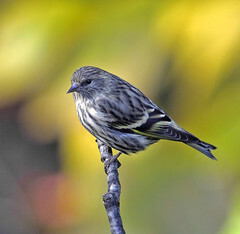 Pine Siskin – starting with 2 at Duke farms, 4 Oct (JE) there was an explosion of Pine Siskins in the region that tapered down in November. Common Redpoll – 3 on 14 Nov, Chimney Rock (JE); 4 on 17 Nov,at Glenhurst (JE, SL). Evening Grosbeak – 6 at Scherman Hoffman Sanctuary 20 Oct; Chimney Rock: 28 Oct (SL), 3 Nov (SL), 9 Nov (JE), 10 Nov (SL); 2 Nov, Raritan (JC). This document is copyrighted ©2013 by Jonathan Klizas and mocosocoBirds.com. Use without permission is prohibited.